Custom area rugs can be exactly the dimensions, style, design and material you choose to make a unique statement in an otherwise barren span of floor space. Let’s face it. 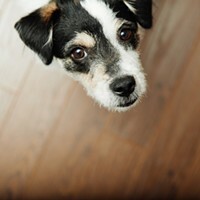 Real wood floors are the choice of most designers, builders and homeowners these days. And for good reason! With a timeless classic beauty that is hard to ignore, wood floors offer a clean sweep of warmth of tone and ambience that is a pleasure to live with. But every now and then, a room or a spot in a room needs a little relief, a soft spot, so to speak, that can only be accomplished by an area rug. Since every room is a different dimension, the space for such a rug can vacillate in size from massive to minute. And in most homes, a lone rug displayed on the gorgeous stage of a wood floor is much more aesthetically demanding than just some “throw” rug you toss in a laundry room to perhaps soak up some excess suds. Enter the custom area rug. Sounds expensive, doesn’t it? Well, surprise, surprise—at Foster Flooring, it is easily managed. Because of their custom binding machine and room of carpet remnants and roll ends, your choices can be at significant discounts. At any given time, someone else’s expensive leftovers from a sophisticated designer-guided home remodeling project can be the source of your special area rug using your unique dimensions. But that’s not all. If you desire an artistic pop of color or an exotic animal skin area rug, you can select from many available styles from top manufacturers offered at Foster Flooring. 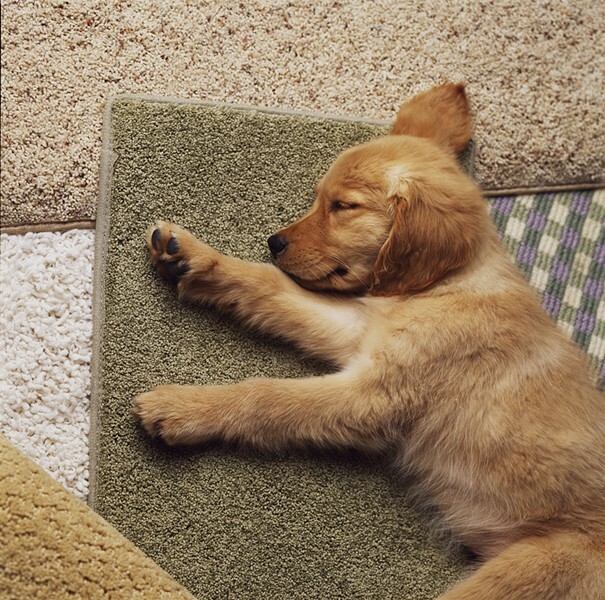 In addition, if the area rug is needed as a bedding spot for your dog or cat, it would make sense to create it from one of Karastan’s SmartStrand® Forever Clean® selection of styles which are immune to pet “accidents” at all times. Another smart option as a source of your area rug would be Karastan wool carpeting which offers an impressive array of benefits only a natural product can provide. This includes inherent resilience to dirt, incredible durability and resistance to damage. It also has intrinsic properties that make it flame-retardant; static-resistant; non-allergenic; environmentally-friendly; and best of all, luxuriously comfortable. So if your bedroom, dining room, bathroom, kitchen, foyer, great room or staircase need a custom rug or runner created, consider a Foster Flooring Custom Rug as the perfect solution. It is another way you can add your own touch to the home you love. Whatever your needs, Foster Flooring will make your quest for the perfect area rug an enjoyable adventure. Foster Flooring is renowned for its generous professional guidance to help you with all of your application challenges. And, when you decide on the product you want, Foster’s full staff of skilled specialists can help you with your installation, even if you plan to do it yourself. Foster’s huge showroom presents excellent values, especially among remnants of high-quality carpeting from which you can create your own area rug or staircase runner. Just south of Rhinebeck, New York, Foster Flooring’s 8,000-square-foot gallery is located in northern Dutchess County’s Staatsburg Village, in close proximity to the historic Mills Mansion on the Hudson River. For more info, please visit FosterFlooring.com or call 845-889-4747.